Do you like to play or watching futsal? At Melaka there are many futsal court you can go to play or organize a futsal event. People in Melaka loves futsal and there are many teams from Melaka that participate in futsal events outside Melaka. The most famous futsal team from Melaka is the Bertam Ulu FC. It is a very well known team, not just in Melaka, but also Malaysia. If you have been following the local futsal news, whether through the news paper or internet, then you should have not missed them. 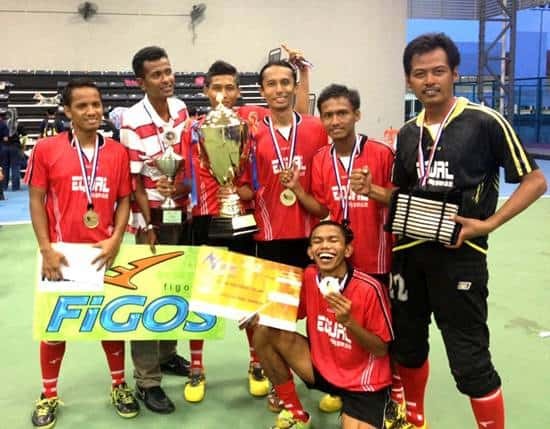 Bertam Ulu FC has won many futsal tournaments. It is respected and feared by many. You don’t want your team to be facing them early in any tournament. Bertam Ulu FC was founded by Mr. Mohd Ayob Alias ​​in 2000. 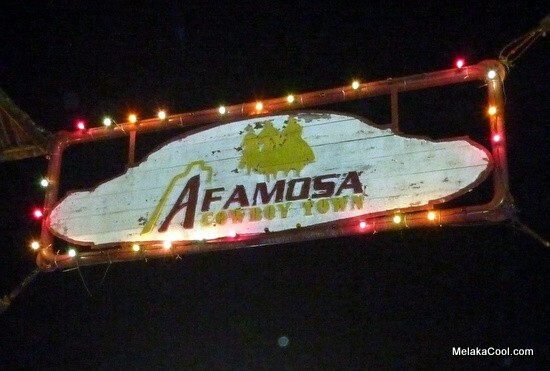 The idea to name the team ‘Bertam Ulu FC” came from the founder’s kampung name. In the early days, this team used to play the 7-a-side football tournament and has won many championships in Malacca. 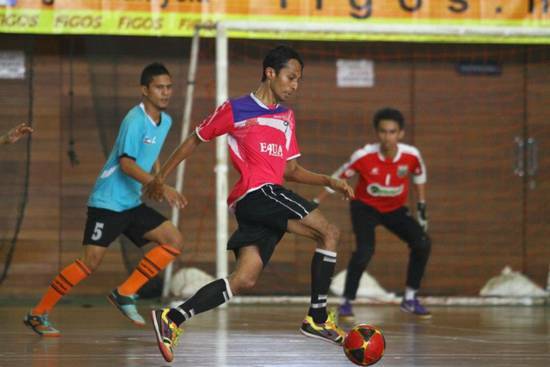 Participation of Bertam Ulu FC in futsal begins when it joined a street soccer tournament in Kuala Lumpur in 2004. Since then, Beram Ulu FC has participated in many tournaments inside and outside of Malacca. There were only 10 people in the original team, but now the team has more than 20 members. 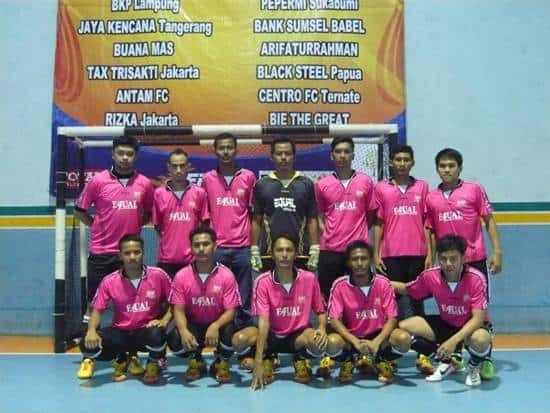 The team has won almost 100 futsal tournaments and every year it has qualified to play in ‘Harian Metro Futsal Carnival’. Bertam Ulu also participated in games outside of Malaysia such as in Singapore, South Africa , Vietnam, Indonesia and many more. 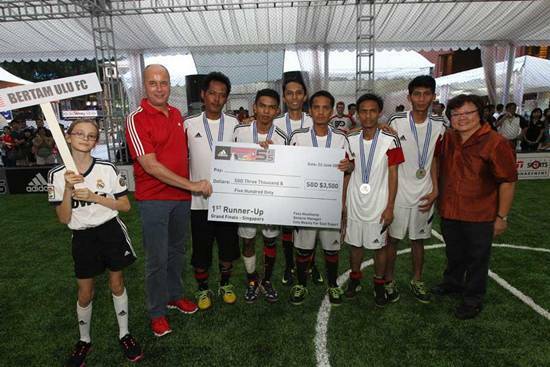 One of the biggest achievement is to became the runner up at Adidas Futsal tournament in Singapore, in 2012. Bertam Ulu also has junior team that has won many Under 16 tournaments in Melaka. Bertam Ulu FC official training court is at A Sport Arena, Klebang. As a well known team, Bertam Ulu received sponsorship from many organization but the team’s main sponsor is Equal Weighing System Sdn Bhd and Figos Malaysia. Bertam Ulu FC has won many major tournaments in Malaysia. The team brings the Melaka brand to the futsal sport. Many people especially those involved in futsal may know more about village called Bertam Ulu based on the team name, than Melaka itself 😀 It also gives inspiration for the young Melaka people to get involve in futsal. Bertam Ulu FC also contributes back to the community by organizing futsal games with its sponsors. It also has plans to organize futsal clinic especially for young Bertam Ulu prospects.